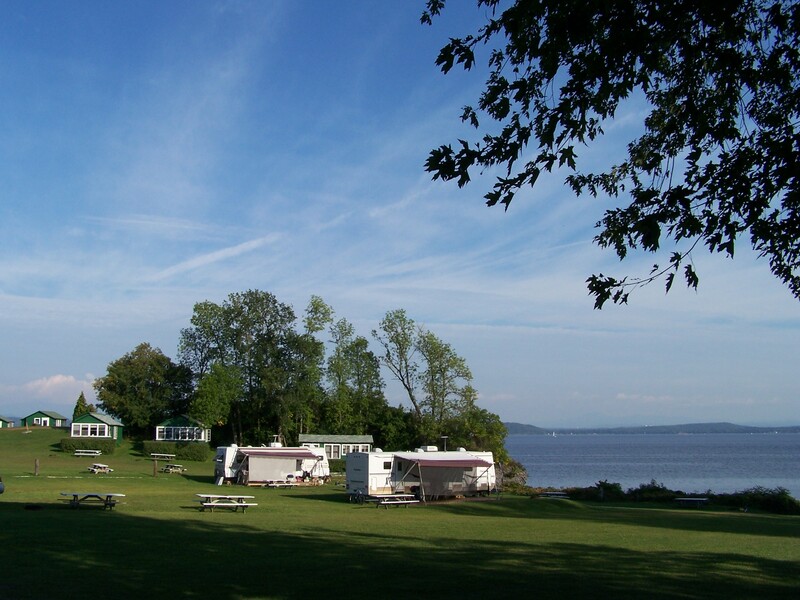 We have 32 campsites located on 6 acres of lakeshore property with beautiful lake views. 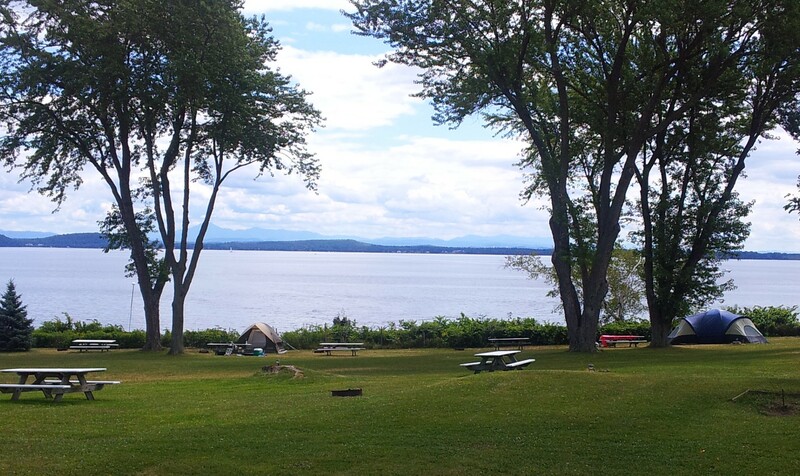 Each grassy site has a campfire ring and a picnic table with views of Lake Champlain. 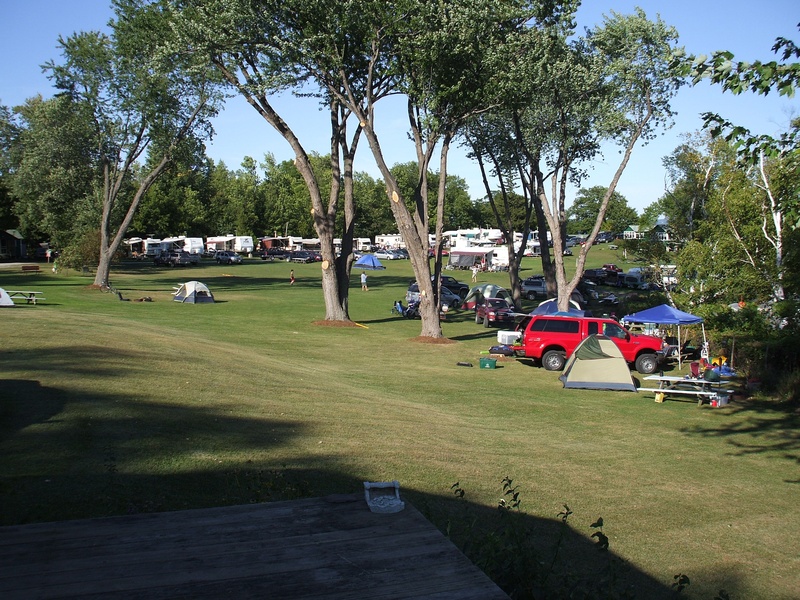 The sites are open in nature with large shade trees in the tenting area. Although we do not offer a secluded camping area, our relaxed atmosphere has nutured numerous friendships between families over the past 90 years. Mens & Ladies restrooms are centrally located with chlorinated drinking water, flush toilets and free hot showers. Please call for availability and to make reservations. Check out time for campsites is 12pm. Tent sites rent nightly for $33. These are the sites on the right bank when looking at the lake. See below for site map. Power outlets are available in the restrooms, the rec hall, or the office. Water and electric sites rent nightly for $36. These are the sites on the left bank when looking at the lake. Sites numbered 14, 24 & 24A all have water & electric on posts near the site. You may want to bring extension cords or hoses, depending on your needs. Campground Map: While we do our best to place you in your favorite site, sometimes changes may need to be made in order to accommodate everyone. Please check in at arrival. Let us know when reserving of your site preference, or we will place you as needed. All our sites have excellent views of the lake and mountains.